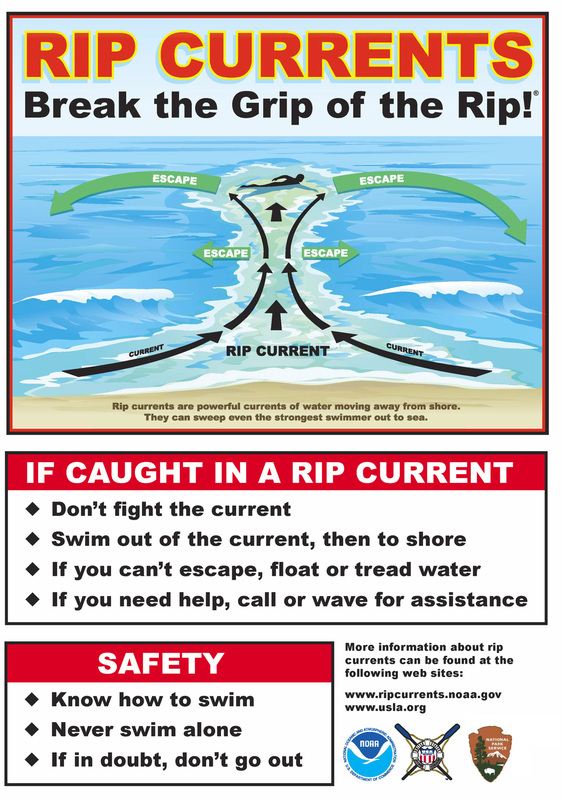 We hope you find this information helpful as you keep yourself and your loved ones safe from rip currents this summer! A rip current is a localized current that flows away from the shoreline towards the ocean. You can find rip currents in any ocean, but they are most common around low spots, sandbars, and structures. These narrow channels of water typically reach speeds of approximately 1 to 2 feet per second. 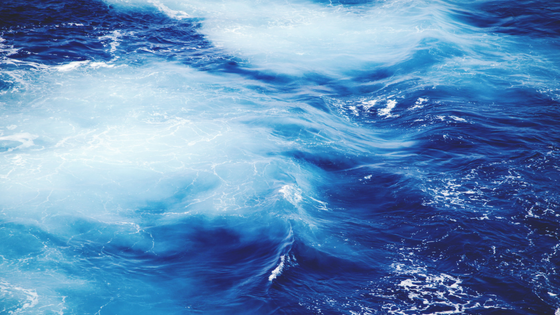 However, rip currents can move at speeds of 8 feet per second. That’s faster than an Olympic swimmer! Why Do Rip Currents Happen? Rip currents happen because of the weather. A rip current forms when wind and breaking waves push surface water towards the land. This causes a slight rise in water level along the shore. Then the excess water tends to flow back to the open water, resulting in a rip current. Because rip currents are a result of the weather, active storms can enhance overall rip current risk and strength. “Any time there’s an active storm – tropical cyclone or regular ‘extratropical storm’ as we call it over the Atlantic – the threat is high along East Coast beaches,” says Earth Networks Meteorologist, Steve Prinzivalli. “Rip currents can overwhelm even the best swimmers,” so it’s important to stay calm. Steve also pointed out that rip currents can occur in bodies of water that aren’t oceans. For example, rip currents happen in the Great Lakes. It’s important for all swimmers to be aware. Steve and our entire team of meteorologists help swimmers around the world stay safe from rip currents, sudden thunderstorms, and hurricanes. 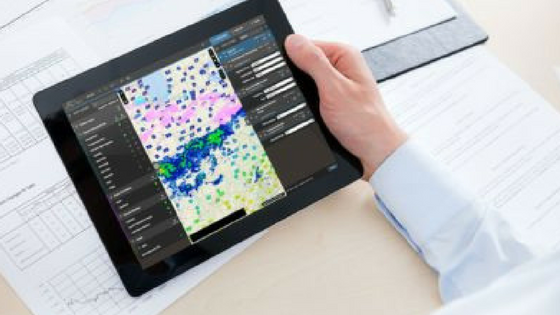 If your coastal organization needs a bit of expert advice, check out our Meteorological Services offering and what our team of seasoned experts can do to provide you with peace of mind. Although some use these terms interchangeably, rip currents and rip tides are different. Unlike rip currents, rip tides are a strong, offshore current. It’s a tidal flow of water within estuaries and other enclosed tidal areas. Rip currents are not tidal flows like rip tides are. 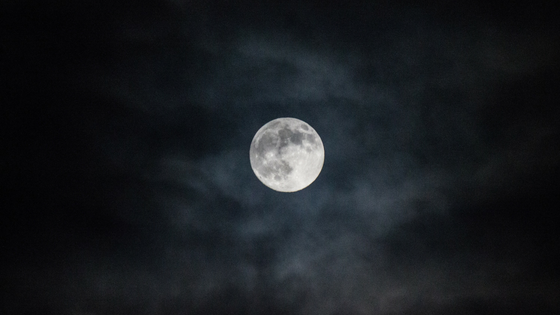 Another main difference is that the Moon’s gravitational pull influences rip tides and not rip currents. A common misconception about both rips is that they can pull a swimmer down under the surface of the water. This is not true as rip currents are strongest near the surface. They simply pull swimmers out, not down. Life guards rescue tens of thousands of people from rip currents in the U.S. every year. Rip currents are responsible for approximately 100 deaths annually. 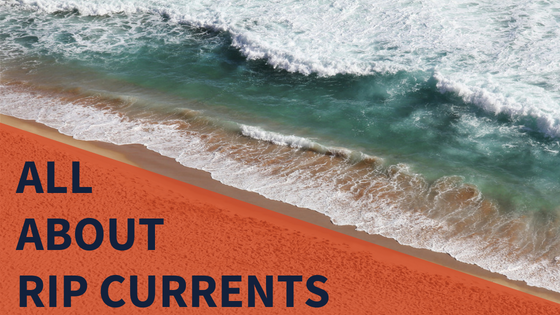 These currents are a silent killer on beaches around the country, so it’s very important to know how to spot them and what to do if you’re caught. This is especially true because those who panic in a rip current are most likely to drown. Before you head to the beach, you first need to check the rip current forecast. The National Weather Service releases a Surf and Rip current Forecast every day from May 24 to September 30. You can find that forecast on their website here. These forecasts show coastal areas and their rip current risk levels ranging from low (green) to moderate (yellow) to high (red). A low risk of rip currents implies that wind and wave conditions are not expected to support the development of enhanced rip currents. Moderate risk implies that individuals planning to enter the surf should check with local beach patrols first. A high risk means dangerous and potentially life-threatening conditions exist for all people entering the surf. Sometimes, beaches ban swimming when there is a high risk of rip currents. No matter the risk, always swim near a life guard. Their job is to protect you from any safety hazard on a beach. Swim near a life guard and always heed their warnings and instructions. 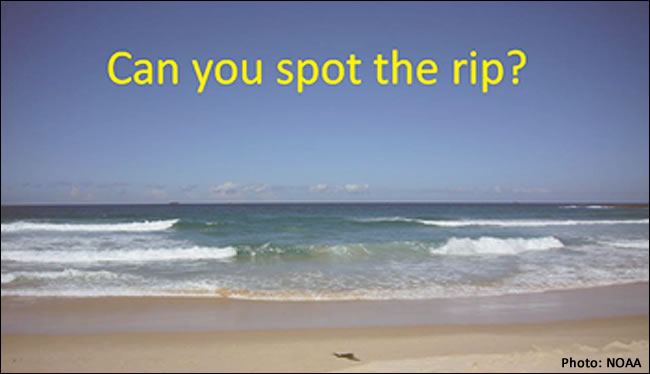 Rip currents are fairly easy to spot when you are on a beach and you know what to look for. The first characteristic to look for is a noticeable break in the pattern of waves. Here the water often looks flat in contrast to the lines of breaking waves on either side. The second thing you should look for is a “river” of foam. The surface of the rip can be foamy because the current is carrying the foam from the surf out to the open water. Another visual sign of a rip current is coloring. Rip currents may differ in color from the surrounding water. They will seem either more opaque, cloudier, or muddier. Depending on the angle of the sun, they can be either lighter or darker than the surrounding water. One last thing to look out for is foam or floating debris on the surface of the rip moving away from shore instead of being pushed towards shore by breaking waves. If you get stuck in a rip current, do not panic! Remember, these currents pull you out, not down. If you are not a good swimmer: If you can, wave and yell to get the attention of life guards and people on shore. Try to float as you ride the rip current out. If you are a good swimmer: Swim parallel to the shore. Since rip currents are perpendicular to the shore and narrow channels of water, your best bet is to swim out of it. Trying to swim against a rip tide will only tire you out and put you more at risk for drowning. No matter what, remember to stay calm, breathe, and try to keep your head above the water. 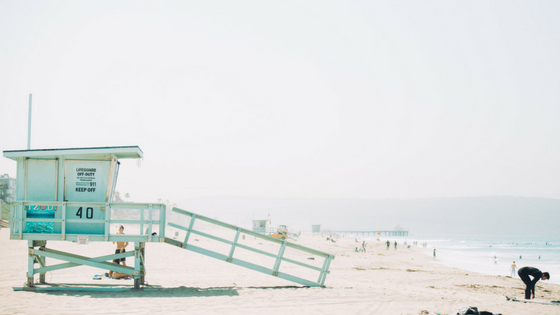 If you’re swimming near a life guard (which you always should be) help is on the way! If you see someone stuck, struggling, or calling for help in a rip current there are a few things you should do. Firstly, call for help. 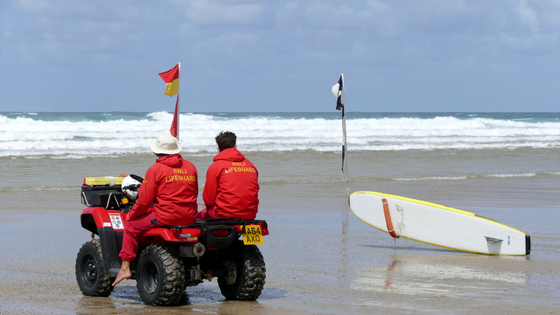 Chances are a nearby life guard is already springing into action but call for help any way to be sure. If there is no life guard nearby and you have a flotation device close, throw it into the rip current. You can also remind the person stuck to remain calm or to swim parallel to the shore. Do not try to save someone yourself. Life guards do not attempt rip current rescues without a flotation device and neither should you. Let the professionals handle the rescue as ocean tides can be unpredictable and difficult to manage even for the best swimmers. Rip current safety is severe weather safety. 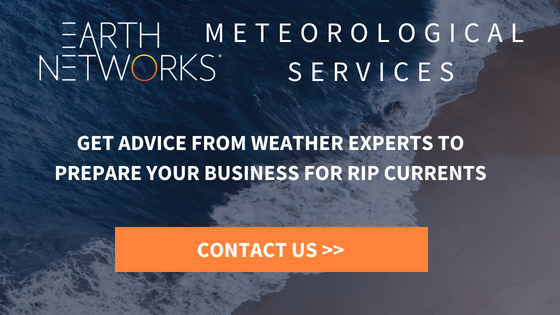 You’re not ready for a day at the beach without a weather forecast and real-time weather data so you can protect yourself, your loved ones, or your visitors from summer weather threats. You can learn more about beach safety in another one of our blog posts here. Please let us know if you have any questions in the comments below and, as always, you can reach out to us on social media. Share this blog post to help save a life this summer!